Too irritated to be witty this afternoon (my beloved Jayhawks just got knocked out of the NCAA tourney), so I'll just post. 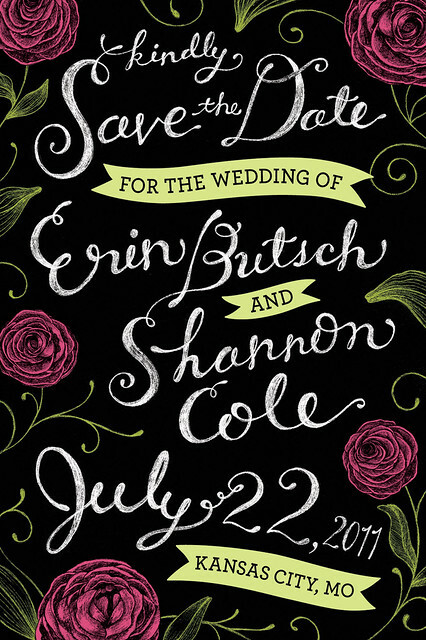 Here is the Save the Date I designed that I mentioned a while back. Erin is a loyal checker-outer of my blog, so hi Erin! There's always next year.